Why all the obsessing over bacon? I’ve noticed bacon has suddenly become very trendy. It’s like the new cupcake. 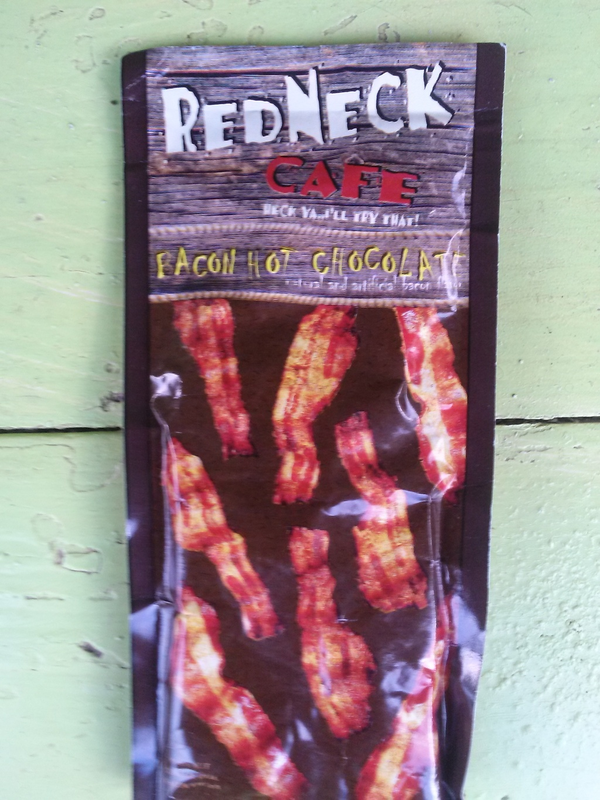 Bacon bits, bacon and eggs, bacon ice cream, bacon scented candles, and now this: bacon hot chocolate? Someone gave this to me today. Seriously, who would drink this? I guess someone would drink it, but it won’t be me. It’s funny though. Why is everyone so obsessed with bacon? And why is it being mixed with things like chocolate? Now sea salt, I can understand. It sounds weird, but dark chocolate with sea salt is great. But bacon and chocolate is like putting sugar on your steak. I’ll pass.